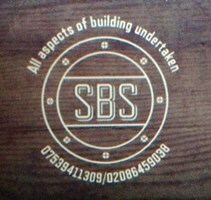 Sampson Building Services - Builder based in Purley, Surrey. Sampson Building Services are a relatively new company in name but with years of experience. Built up solely on word of mouth. Satisfied customers have kindly provided references and have provided testimonials for the company. We are based in Purley and work within surrounding areas. We aim to provide all our customers new and existing with high quality, hassle free building, decorating and maintenance services. We are professional and our staff are well presented. All staff wear uniform and ensure company rules are adhered to. Staff are polite at all times and show respect for your property. We are very tidy and thorough. All aspects of building undertaken. Free no obligation quotations on request. We aim to get a response to you within 48 hours. Landline: 0208 645 9038 Mobile: 07539 411 309 numbers for your convenience.